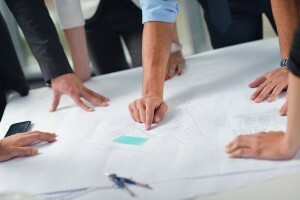 Hiring a professional project management firm can benefit companies undergoing a variety of major transitions, whether they are relocating from the Asheville, North Carolina, area, expanding an existing office space, or adding a satellite office in a nearby region. At Relocation Strategies Charlotte (RSI Charlotte), our experienced project managers can take all of the stress of planning a corporate relocation or expansion off your shoulders while helping to ensure your company experiences minimal interruptions. Additionally, our project management specialists will always make sure your company’s interests and preferences come first with every decision we make throughout the project. It’s that commitment to providing specialized service that has allowed us to consult for a wide variety of businesses throughout the Asheville, NC, region, including companies in the manufacturing, healthcare, and finance industries. To learn more about the project management services we offer for Asheville, NC, companies, contact RSI Charlotte today.